For those of us who grew up in the 1980s, Connect Four was a staple in every home. Sure, it’s fairly simple and low-tech, but kids who played with skill and strategy could keep an intense game going for a good long while. Watch the video for a primer, straight from an OG commercial, straight from a Delorean time-travel trip to 1981. Now, you can take your campers back to their childhoods and help wake up their minds and bodies with this fun Connect Four Team Warm-up! Equipment needed: Connect Four game, of course! It’s still widely available for a fairly low price at toy stores and big box stores like Target and Walmart. 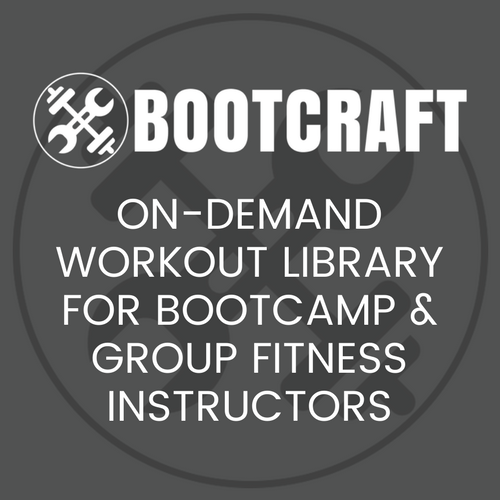 A great investment that you can use both in and out of your bootcamp! Divide your campers into two even teams – one team for each color of Connect Four game pieces. One team member at a time will go head to head to do the same exercise for thirty seconds. The person who gets the most reps in that time wins the round and gets the right to put a game piece in the board first. After that player puts the piece in the board, the other team gets to play their turn in the Connect Four game. Then move on to two new competitors doing a new exercise. Everyone else in the group will also do the exercises, but only the players going head to head in that round will count their reps.
Keep having the teams play against each other doing different warm-up exercises until one team wins the game by placing four of their own color pieces in a row in the Connect Four board (horizontal, vertical or diagonal). The time this takes can vary. If it ends quickly, you could run a second game. If it’s taking an especially long time, remove the ability for other team members to offer suggestions on where to place the game piece. The length of the game really depends on how everyone is doing with their mental game that day. Add or edit based on our own bootcamp. If the game continues beyond your list, just return to the top and start again. If the competitors end up with the same number of reps, use rock-paper-scissors as a tie-breaker. You could also use this later in your workout and add more intense exercises like jumping lunges, squat jumps and burpees. However you look at it, this can be a great throwback for your 80s kids, and a fun twist on a competitive workout. And obviously, gloating by the winners and exclamations of “pretty sneaky sis!” by the losing team are all highly encouraged. Hi! I’m Robin and I own Power Jam Fitness in Los Angeles, CA. I found my way into training through roller derby, of all things. I’m a Certified Personal Trainer and Certified Strength and Conditioning Specialist through the National Strength and Conditioning Association. I originally started Power Jam Fitness to help roller derby skaters get proper strength and conditioning training, but now I’m all about helping people of all walks of life discover their own inner athletes. When I’m not training, working out or roller skating, I’m spending time with my husband Michael and Best Cat in the World Olly, enjoying live music, and pretending to be a rock star on the karaoke stage.